The Inns of Court & City Yeomanry (IC&CY) was created in 1961 from the amalgamation of the Inns of Court Regiment and the City of London Yeomanry . In 2009 the IC&CY merged with the Essex Yeomanry and was renamed the Inns of Court & City and Essex Yeomanry. In 2014 the Essex Yeomanry moved to become part of 36 Signal Squadron and the Squadron reverted to the name of IC&CY. 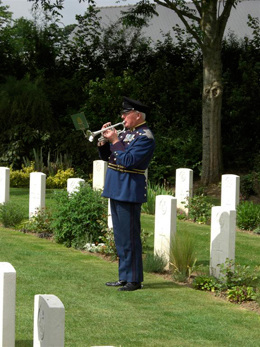 The unit carries 26 Battle Honours and celebrates the histories and traditions of its predecessor regiments. It is proud of its 400 year old links with the legal profession, retains its 200 year old headquarters in Lincoln's Inn and carries the nickname ‘The Devil's Own' bestowed by King George III in 1803 on the Bloomsbury & Inns of Court Volunteers due to his dislike of lawyers. The unit plays a unique role in London's civic and ceremonial life and is active in supporting the regular Army on operations around the world. 68 (Inns of Court & City Yeomanry) Signal Squadron is a sabre squadron of 71 (City of London) Yeomanry Signal Regiment part of 11 Signal Brigade whose mission is "to deliver specialist Information Communication Services at readiness to enable effective command and control of expeditionary and other government department operations." The Squadron's role is to provide Information Communication Systems (ICS) in support of military aid to the emergency services and local government in times of emergency. Exercises throughout the year in the UK and overseas keep skill levels and operational effectiveness high. Personnel have deployed on expeditionary operations around the world in support of the regular army on operations in Afghanistan, Iraq and Cyprus and previously in Bosnia and Northern Ireland and the Squadron continues to provide personnel for operations on an ongoing basis. The Squadron takes part in a variety of adventure training exercises each year. One of these is SNOW FOX, the pan-Yeomanry skiing exercise in Austria, which is a great opportunity to learn to ski or develop downhill and slalom skills and to enjoy après-ski hospitality with other Yeomanry units. 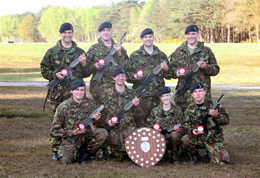 Members of the Squadron play Polo and develop riding skills, and the shooting team wins trophies at Bisley. To read of the annual awards presented to members of the Squadron, their history and a record of (some of the) winners, please visit the Library. The Squadron undertakes a number of high profile ceremonial duties in London. The foremost is the provision of a Mounted Detachment for the Lord Mayor's Show, the world's oldest civic procession dating from the time of King John. Every November, for nearly 800 years, each new Lord Mayor has been required to pledge allegiance to the Crown at the Royal Courts of Justice. Our inclusion reflects the unit's City of London Yeomanry (Rough Riders) heritage and comprises a riding detachment of five officers and eight soldiers from the squadron. The unit has a close relationship with the Household Cavalry Mounted Regiment with whom the riders train at its Knightsbridge Barracks in preparation for the role. The Mounted Detachment is led by the IC&CY Band of the Royal Yeomanry and followed by military vehicles demonstrating the Squadron's operational capabilities. For Remembrance Day the full Squadron, with the Cadets and the Band, parades at the War Memorial in Lincoln's Inn for an Act of Remembrance and wreath-laying. This is followed by a service in Lincoln's Inn Chapel after which the Officers join the Benchers – the Inn's governing body - for lunch in the Great Hall of Lincoln's Inn. 68 (Inns of Court & City Yeomanry) Signal Squadron has three Troops. 906 Troop and Squadron headquarters are at 10 Stone Buildings, Lincolns Inn, which has been home to the Inns of Court Regiment since the 1880s. 883 Troop is located at Whipps Cross, Waltham Forest. The Squadron recruits from across the community and continues to draw many volunteers from the legal profession. • 1961: The Inns of Court Regiment and the City of London Yeomanry amalgamate to create The Inns of Court & City Yeomanry (IC&CY). HM The Queen Mother, the Royal Honorary Colonel of both Regiments, continues the role for the IC&CY, a post she held until her death in 2002. • 1961 – 1967: The newly formed IC&CY continues the Inns of Court Regiment role as Reconnaissance Regiment of 54 East Anglian Division. • 14 June 1963: HM The Queen Mother, the Royal Honorary Colonel, presents the Guidon at a Regimental Parade in the Gardens of Inner Temple. • 1 March 1967: Upon the contraction of the Reserve Army the IC&CY is reduced to one Squadron which forms part of the "London Yeomanry & Territorials". The Regimental Band is retained, based at Lincoln's Inn and attached to the newly-formed Royal Yeomanry Regiment. • 1 April 1969: 71st (Yeomanry) Signal Regiment (Volunteers) is formed from four disbanded yeomanry regiments and the IC&CY becomes 68 (Inns of Court & City Yeomanry) Signal Squadron of that Regiment. • 1 October 2009: IC&CY merges with 70 (Essex Yeomanry) Signal Squadron and is renamed 68 (Inns of Court & City and Essex Yeomanry) Signal Squadron with 907 (EY) Troop located at Chelmsford. • July 2014: 907 (EY) Troop are demerged and join 36 Signal Squadron. The Squadron reverts to IC&CY. 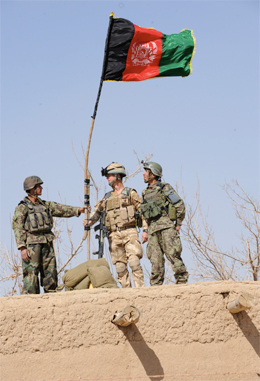 Lt Julian Allen, ICCY, with members from the Afghanistan National Army, on operations in Afghanistan. 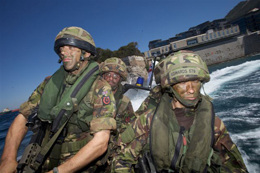 Fast boat assaults – on exercise, Gibraltar 2009. 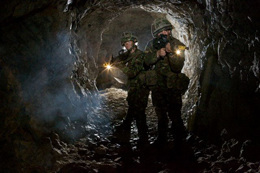 Tunnel fighting – on exercise, Gibraltar 2009. 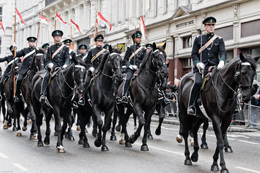 ICCY maintaining the Rough Riders tradition, forming a mounted detachment in the Lord Mayor's Show.